Each month, Dr. Joe will answer one subscriber question; this month we have an interesting item posed by subscriber Bill Pennington, a golf writer for The New York Times. A: (Quoted from Bill’s article) “He clearly is incredibly skillful at rationalizing … and put all those things in a place where they didn't affect his golf. But you cannot rationalize that your mind is at peace standing over an important 4-foot putt if your mind is not truly at peace. When you're just moving the putter two inches on a stroke, any little doubt throws you off.” You can ask us a question here. As quiet as we’d like it to be when we’re about to swing, that’s not always under our control. A loud group in the next fairway, construction on a house bordering the course, a mower nearby—it’s easy to dwell on or anticipate a sound and lose focus. Here’s a surprise for you. 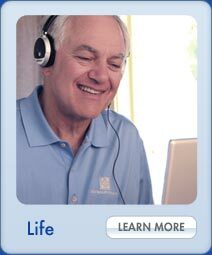 It works better to add more sound than trying to block it. A major league pitcher might have 50,000 fans screaming at him, but it all becomes a sort of “white noise” with no sudden, distracting burst of identifiable sound. If you stand over your ball wondering when the next mower will start, try to imagine the roar of the crowd in a stadium absorbing any sounds, and play your shot with the confidence that you won’t be distracted in mid-swing. Click here to learn more about this and other instructional products. The Ojai Valley famously appeared as Shangri-La in the movie version of “Lost Horizon,” and the Ojai Valley Inn & Spa beautifully represents the valley's legend as an earthly paradise. Located near Los Angeles, it’s a 5-Diamond resort with a luxurious spa to enjoy after a round on their classic golf course. The Ojai Valley Inn is the perfect place for vacations, social and charity events, and business conferences – which often include Dr. Joe as a keynote speaker. Pros and celebrities flock there for pampering, relaxation and lessons with Dr. Joe, who teaches golfers of all handicap levels. If you’re in the LA area, the Inn is a great getaway for an afternoon, an overnight, or a longer stay – you won’t want to leave! 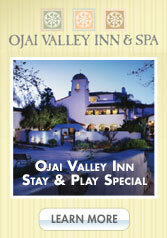 Click here for more information on the Ojai Valley Inn and Spa. 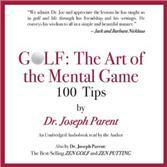 “GOLF: The Art of the Mental Game,” Dr. Joe’s third book, is now available from Kindle in a text-only edition, at a special low price of $2.99. This is a limited-time offer and a special thank you for our newsletter subscribers, giving you the opportunity to order it before the price goes up to $7.99. Please note: The Kindle version includes all 100 great mental game tips; the drawings that accompany these are only available in the hardcover edition. Click here to take advantage of the limited-time offer. Drew, a talented junior golfer, was scared to death of greenside bunkers because she played shots from them so poorly. To help her visualize the ideal move through the sand, I gave her the image of Olympic swimmers starting a race. She was to think of the clubhead as the swimmer entering the water, and swing with the intention of the clubhead entering the sand at a shallow angle a couple of inches behind the ball, then staying just under the surface of the sand for as long as possible, as the swimmers do, before coming up into the finish. "Dear Doc: I wanted to tell you that I was practicing my sand shots the other day. Not only don’t bunkers scare me any more – I like them! And that day I almost holed out three times! 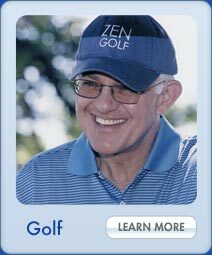 Two people asked me who taught me how to play so well out of the sand – I proudly said it was the Zen Golf Master, Dr. Parent, in Ojai. Thank you so much for transforming my bunker play. I can't wait for my next lesson!" Drew T., Oxnard, CA. 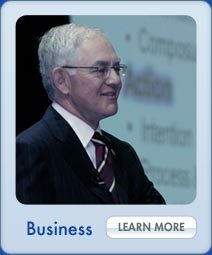 Dr. Joe offers lessons for golfers of all levels, by phone, video (Skype), and in person. 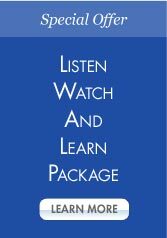 Click here to learn more or schedule a lesson.